Let the little ones pick out something special for mom with a gift that's full of heart. From the gym to everyday wear, gift mom her top picks of functional athleisure brands. Get outdoors and be a part of mom's favorite activity with new gear she'll love! Make sure mom feels extra special in all-new trending styles from her signature brands. 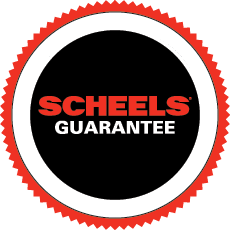 Give mom the gift of retail therapy and a little "me" time with a SCHEELS gift card. There's no better way to say "I love you, mom" like finding a perfect mini-me match.